The needs of a family are many, ranging from anything from comfort, to space and entertainment for adults as much as for kids, and most importantly, safety for everyone. When it comes to choosing a vehicle that fits those needs and makes your life easier, not just anything will do. You need something that goes above and beyond, something made especially for you. Exactly what the Dodge Grand Caravan was built to do. Canada's Best-Selling Minivan doesn't disappoint. 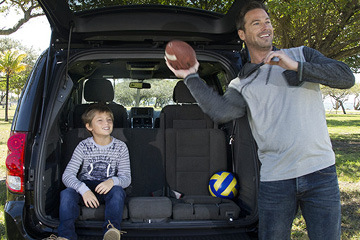 Filled with passenger and cargo space, loaded with standard and available features that make every ride all the more enjoyable, and packed with safety technology that protects what matters most, the choice becomes simple-The Dodge Grand Caravan is the ideal minivan for you and your loved ones. Canada Value Package: Get all the versatility of the Grand Caravan at an amazing value, with the power of a 3.6L Pentastar™ VVT V6 engine and 3rd-row Stow 'n Go® seating. SE Plus: Everything from the CVP plus notable additions of 17-inch aluminum wheels, sunscreen glass, and 2nd- and 3rd-row power windows. SXT: Offers the added versatility of the Industry-Exclusive 2nd-row Super Stow 'n Go® seating and Stow 'n Place® roof rack system! SXT Plus: Adds flair to your minivan with 17-inch aluminum wheels and 2nd- and 3rd-row power windows. SXT Premium Plus: Enjoy a bit of luxury from Piano Black interior accents and black Torino leatherette seats. Blacktop: Drive in style with a luxuriant all-black interior with brushed aluminum accents. Crew: Maximize your comfort with the Super Console and power 10-way driver's seat! Crew Plus: Treat yourself with a little more-ParkView® Rear Back-Up Camera, heated front seats and convenient 6.5-inch touchscreen, and so much more! GT: The ultimate in comfort and versatility with black leather-faced seats, performance suspension, and tons more of the best features the Grand Caravan has to offer! 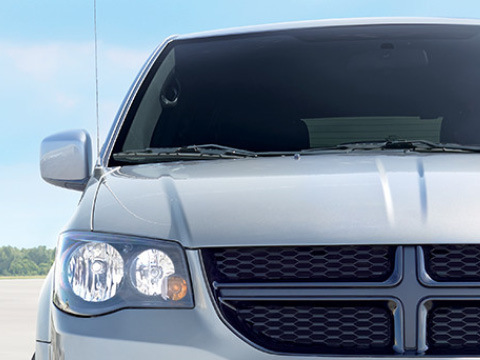 The Dodge Grand Caravan is built for a family's needs, but that just so happens to mesh well with business needs as well. With ample passenger seating for you and employees or clients, cargo space for anything you might need to take on the go, and powerful torque capacity to haul extra loads to boot, the Grand Caravan makes an excellent vehicle to take your business to the road while enjoying the comfort and safety features of a quality family minivan. For over 33 years, The Dodge Grand Caravan has been the Number One trusted minivan of Canadian families and industry experts. No other minivan comes close in functionality, capability, innovation, or safety. Become part of a growing tradition of satisfied owners of one of the most reliable vehicles in the industry-it all starts by feeling the difference after getting behind the wheel for your first test drive. Book yours today! Today's driver has fuel efficiency in mind, not only as a means to save money at the gas pump, but to reduce harmful emissions that could affect future generations-our own children. That's why the Dodge Grand Caravan comes equipped with the standard 3.6L Pentastar™ VVT V6 engine, which delivers an impressive 9.4 L/100km (30mpg) at highway speeds-all while packing and astounding 283 horsepower and 260 ft-lb of torque, more than any other competitive minivan, for extra power that's ready to go as soon as you need it. Whether on the open road or simply backing out of a parking space, the Dodge Grand Caravan's safety technologies are working right alongside you to prevent accidents and reduce consequences thereof. Features like Electronic Stability Control (ESC) to help you more easily maintain directional stability in adverse conditions. Blind Spot Monitoring (BSM) warns the driver with an audible chime whenever other vehicles are within the vehicle's blind spots. With Rear Cross-Path-Detection, backing out of a parking space becomes a breeze, with the system warning you of any oncoming vehicles or pedestrians. 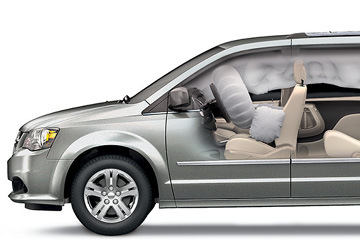 All that and more make Dodge Grand Caravan one of the safest vehicles you can drive.